If you're planning on purchasing a home in the Bay Area soon, you may be up against steep competition. According to San Diego-based company DataQuick, house and condo sales throughout the Bay Area in July were the highest since 2005. A total of 9,339 sales were finalized, up 13.3 percent from July 2012, when 8,241 homes were sold, according to DataQuick. The sales were at its highest since 12,538 homes sold in July 2005, the data company stated. The spike in sales was most evident in Santa Clara County, where 2,244 homes were sold, 26.1 percent more than the 1,779 from July last year. In San Francisco, 718 homes sold last month, up 31.3 percent from last July's 547 sales. 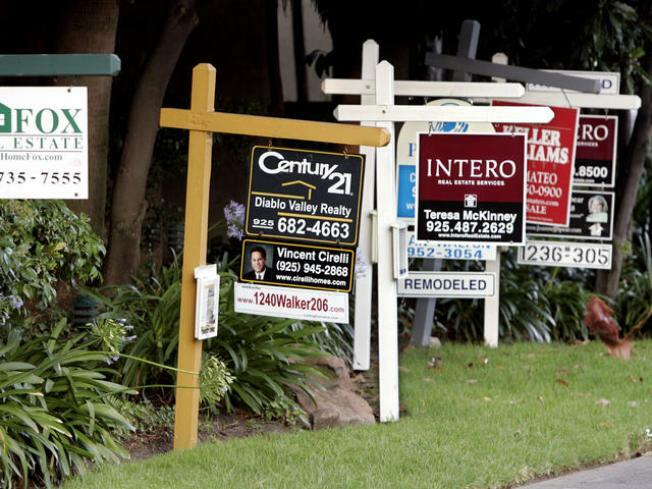 Solano County was the only Bay Area county that recorded fewer sales this July from last, totaling a 0.8 percent decrease, from 610 last year to 605 last month. With the rise in sales, the median price of homes in the Bay Area has also increased, reaching its highest price in more than five and a half years. In July, the median price was $562,000, the highest since December 2007 when homes were averaging a price tag of roughly $587,500, according to DataQuick. Twelve months ago, the median price of homes in the nine-county region was 33.5 percent less, averaging roughly $421,000 per sale. All counties throughout the Bay Area recorded an increase in median sale prices, but none more than in Contra Costa County, which had its median sale price rise nearly 43 percent from $308,000 to $440,000, according to DataQuick.